Diversify. That’s exactly what the Wu-Tang Clan does. They’ve done it from music to movies, cartoons to videogames, but one thing that remains a constant, is the Clans success in the fashion world. They instantly became fashion icons when they stepped on the scene, portraying their nitty gritty style to the rest of the world with baggy jeans, flannels, bubble vests and timberlands. Then came along Wu Wear, a hip hop line that did pretty well in the late 90s, but died off with the emergence of Rocawear and Sean John. Even without their own brand the Shaolin style is still relevant today in the fashion world. 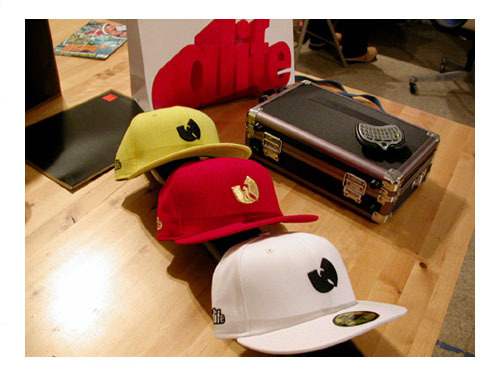 The Wu-Tang Clan has and still is linking up with ALIFE, a NYC brand, to produce tees, sneakers and limited edition fitteds. They’ve also teamed up with Nike a few times and produced a pair of dunks that are crazy hard to find and super expensive. And now they are back at it, in conjunction with FILA, to produce a pair of boots that will be sold nationwide. The boots actually look dope, staying true to the Wu-Tang style, gutterness. Not sure on availability yet, but we’ll keep you updated……now it’s time to be out. Side Note: The three kids in the video are the sons of GZA, Masta Killa and Power. Crazy huh?